3.6L Super Large water storage, novel appearance design, parabolic dynamic flow, let pet drinking water more healthy; led luminous lighting function, guide pet Night drinking water and prevent kick touch; 5V DC Ultra Mute water pump; When the water level is lower than the min position, automatic power off protection, to ensure the use of safety at ease. 2. 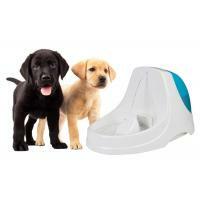 Free-falling stream add more oxygen for freshness, encouraging pets to drink more water. 3. BPA free plastic design is top-shelf dishwasher safe. 4. 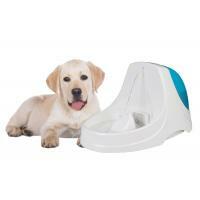 3.6 Liter water capacity is great for pets of all sizes. 5. Easily assemble and disassemble; easy to clean. 6. Submersible pump for quiet operation. 7. 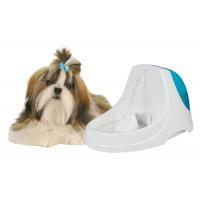 Includes replaceable carbon water filter that removes bad tastes and odors, keeping water fresh. 8. Power supply: Adaptor out put 5V DC 350mA, 1.5m power cord. 9. Filter: Replaceable activated carbon filter. 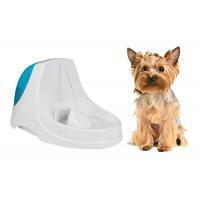 Parabolic flow design reduces splash and spray water flow more smoothly, it can inject more oxygen flowing water more sweet,your dog can enjoy the fresh flow waterfall. 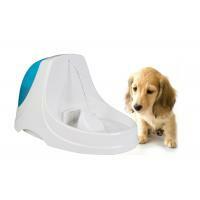 ◆ Parabolic flow entices pets to drink,thereby increasing the amount of pet drinking water,to prevent urinary tract diseases. 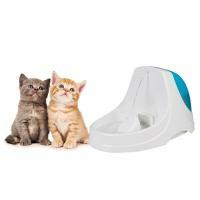 ◆ Replaceable spare sponge filter,filter food scraps hair to absorb odors and maintain drinking water clean. 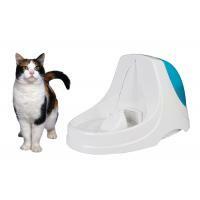 ◆ Unique ultra-quiet design, will not frighten pets.